These handsets have been tested and rated for use with hearing aids for some of the wireless technologies that they use. However, there may be some newer wireless technologies used in the phones that have not been tested yet for use with hearing aids. It is important to try the different features of these phones thoroughly and in different locations, using your hearing aid or cochlear implant, to determine if you hear any interfering noise. Consult your service provider or the manufacturer of the handset for information on hearing aid compatibility. If you have questions about return or exchange policies, consult your service provider or phone retailer. Hearing aids do not always function well with wireless handsets. Hearing aids operate by using a microphone to pick up sound waves, converting the sound waves into electrical signals to be amplified. Distortion or amplification of unwanted sound (noise) often occurs. The FCC’s hearing and compatibility requirements address hearing aids that operate in either of two modes- acoustic coupling (“M” rating) or inductive coupling (“T” rating). Hearing aids operating in acoustic coupling mode receive through a microphone and then amplify all sounds surrounding the user, including both desired sounds, such as a telephone’s audio signal, and unwanted ambient noise. Hearing aids operating in inductive coupling mode turn off the microphone to avoid amplifying unwanted ambient noise, instead using a telecoil to receive only audio signal-based magnetic fields generated by inductive coupling-capable telephones. The FCC “M; and “T” ratings indicate whether a handset can be expected to function well with a hearing aid and are generally marked clearly on the handset packaging. 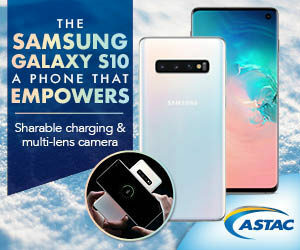 The “M” or “T” rating does not guarantee that the handset will function without distortion or noise, so ASTAC recommends that you test the handset before purchasing. 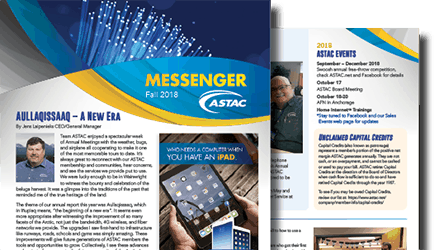 ASTAC offers HAC-compatible handsets and devices in three price categories, including low-cost (“Basic”) (<$100), moderate-cost ("Mid-level") ($100-$250) and high-end, feature-rich ("High-end & Smartphones") (>$250). Costs generally correlate with the number of features but, if through experience, ASTAC finds that a certain handset contains features that work well with hearing aids, such as volume control, it will be labeled accordingly with an “Feature Rich” level for functionality. ASTAC’s sales staff is trained to assist all existing and prospective customers looking for a HAC-compliant device/handset. HAC-compatible handsets and devices vary in their inherent “levels of functionality,” but typically at least one (1) HAC-compliant handset/device with features and services typical of its price category can be found that meets each customer’s price range. General handset functionality characteristics are outlined below. Basic Phones will have either no camera or a VGA camera. Basic phones may be candy bar, slider or flip style. Basic phones are capable of making and receiving calls, sending and receiving text messages. WAP browsing and picture messaging may also be available on some models. These phones generally have higher resolution cameras and have MP3 music players. They will have Bluetooth capability. Middle level phones will usually have a memory slot for storing pictures, video and music. Mid Level phones also have the ability to send and receive both text and picture messages. Most Mid Level phones will have a WAP internet browser. These devices will have 2 Megapixel or better cameras. They generally have stereo Bluetooth capabilities. Most feature an additional HTML internet browser and larger, high resolution, displays. Some phones in this category have touch screens and/or slide out QWERTY keyboards. Smartphones have advanced operating systems like Symbian, Google Android, and Microsoft Windows Mobile which allow for application additions. These devices support both voice and data communications and generally are Wi-Fi capable and feature rich. Member-owned telephone utility cooperative providing telco services to residents of the North Slope since 1981.